The Hope Foundation’s presence amongst university students has been steadily expanding in recent years. Involvement can take numerous forms from HOPE Societies to volunteers to course placements. A large numbers of these students may have been involved with HOPE during their secondary school years, and wish to continue their support once they continue on to university. Many university students also volunteer with HOPE in Kolkata during the summer, or as part of a university course. We have a number of students who spend some of their summer break in Kolkata volunteering with The Hope Foundation. If you have a minimum of 3 weeks to spend in Kolkata, you can make a difference as a HOPE volunteer and experience a truly rewarding time working with vulnerable children in India. Fundraising not only has several benefits such as sharpening presentation skills, practicing goal setting and reinforcing math skills – it also teaches the reality of poverty inspires young people to take action for change. If you have an idea for a fundraiser then please get in touch with us and we will help you get organised. We are actively seeking university partners who would be interested in working with The Hope Foundation UK. These mutually benefiting schemes not only provide much-needed support for those living in Kolkata, but also as an experience for the students – working in a new environment and taking part in a unique two-way learning experience, which will no doubt help their studies and future employability. Our existing partners in Ireland include Froebel College of Education in Dublin and Mary Immaculate College in Limerick. Both colleges deliver educational workshops to teachers and pupils alike across our child protection homes, education centres and crèches. 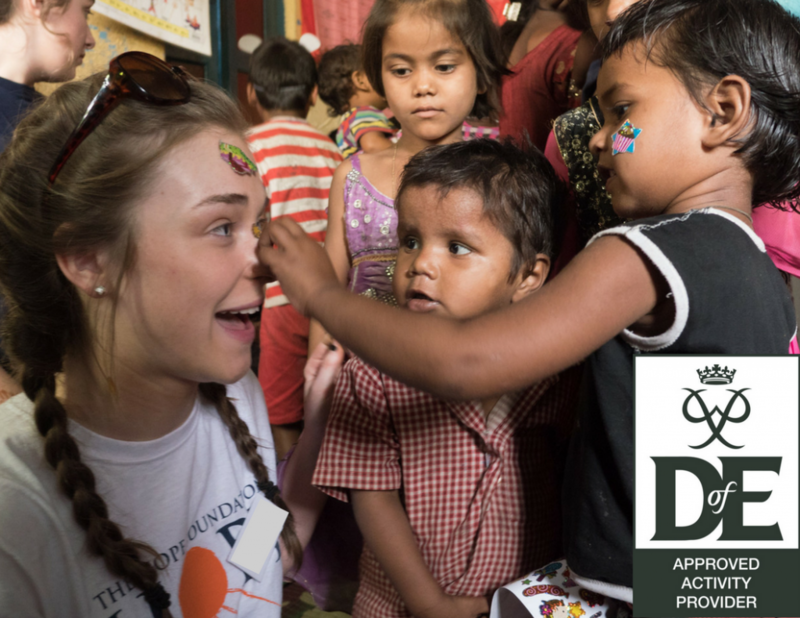 University students completing their Gold DofE can now complete their Residential section with HOPE in Kolkata. Preparation for the trip includes fundraising, being an advocate of HOPE and learning about the vulnerable lives many lead in Kolkata. The Kolkata Residential trip serves to help others as well as your own range of skills as you prepare and partake in this experience. For more information, please contact andrew@thehopefoundation.org.uk.